Discreet,Simple, and effective! 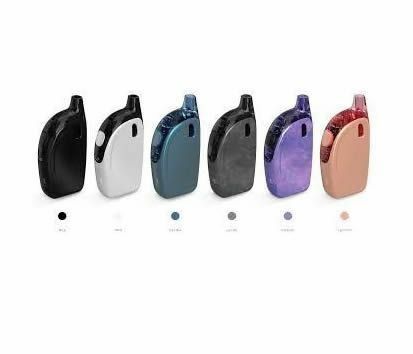 The new PockeX from Aspire combines a 2ml, top-filling, leak proof tank and 1500mAh battery, making it perfect for on-the-go vaping. Nautilus X "U-Tech" coil design delivers all the vapor production and flavour you could ask for without the battery drain of higher wattage devices. 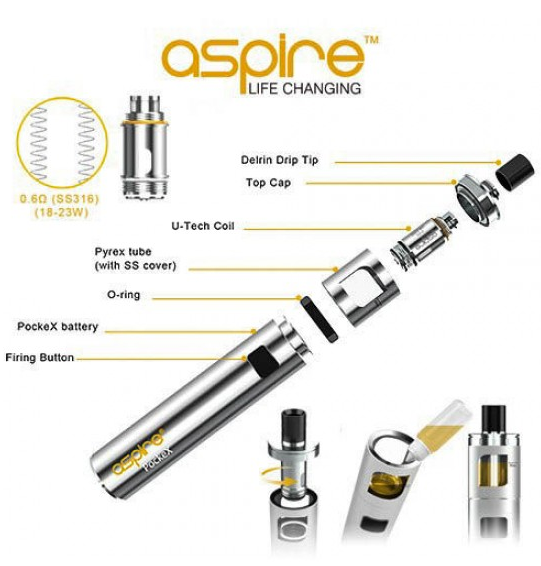 A perfect kit for the average vaper. Replace coil when needed and let the new coil soak for at least 3 mins before vaping.